The FTTH Councils Global Alliance (FCGA) designates November 4th as Gimme Fiber Day, an annual event created to showcase how fiber has positively impacted communities across the world and what policymakers around the globe can do to help advance the roll-out and take-up of fiber optics. The date for the annual celebration of fiber optics was selected as it corresponds with the birthday of the man who changed the way the world communicates, Professor Charles Kao. 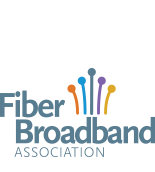 To commemorate ‘Gimme Fiber’ Day, the Fiber Broadband Association has a series of activities planned that will highlight the role fiber deployment has made in bringing countless communities into the 21st century. We also host an event in a city that has deployed a fiber network in order to showcase the many benefits of the network. To commemorate Gimme Fiber Day 2016, the FTTH Council Americas chose CTI, serving Taylorville, Illinois as the North American “Gimme Fiber Day” Award winner. CTI serves over ninety percent of central Taylorville with FTTH including the city government, the county government and the local schools — owning the town! They are planning to launch gigabit services in July and serve their entire residential customer base. If your city is interested in hosting Gimme Fiber Day, please fill out the Gimme Fiber Day application. 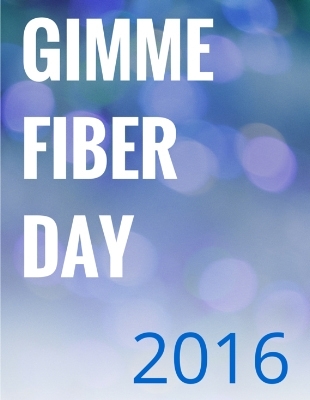 To commemorate ‘Gimme Fiber’ Day 2015, the FTTH Council Americas has chosen Canby Telcom, serving the northern Willamette Valley of Oregon as this year’s North American “Gimme Fiber Day” Award winner. Click here to see their celebration plans! For an overview of Canby Telcom, click here. Click HERE to see the event! The FTTH Council Americas chose EPB, serving Chattanooga, Tennessee as the 2014 North American “Gimme Fiber Day” Award winner. As New York Times columnist Thomas Friedman wrote: Chattanooga has replaced its belching smokestacks with an Amazon.com fulfillment center, major health care and insurance companies and a beehive of tech start-ups that all thrive on big data and super-high-speed Internet. All of this has been driven by EPB’s deployment of an all fiber network to its homes and businesses. EPB Fiber Optics and the Fiber to the Home Council celebrated Gimme Fiber Day at the kickoff of Chattanooga Startup Week with Foundry Group Co-Founder Brad Feld. We offer members a variety of learning opportunities through our webinar series, which are open to the public unless otherwise specified. If you are interested in presenting a webinar, contact Doug Weinbaum at dweinbaum@fiberbroadband.org. Whether you’re looking for new strategies to build your customer base, tools to make deployment more affordable, or the opportunity to learn from industry leaders as they explore the future of fiber - Fiber Connect has it all. The conference, held annually in June, also presents a comprehensive lineup of education led by the industry’s best.